Discovering an enjoyable cigar is one of the highlights of the hobby. But, as in most things, there’s a yang to the yin: picking up a stick for the first time and finding it not to your liking. I don’t believe there’s a way to eliminate that possibility, but you can certainly increase your odds for success. Here are some things you might want try. Just remember that none of my suggestions are ironclad, and no doubt you’ll sometimes want to strike out on your own. 1. Figure out what tobacco you don’t like. With so many variations, this can be tough. But if you look at some of the less common tobaccos, it can be easier. My list, for example, begins with Mexican tobacco. Now that doesn’t mean I’ll never try a cigar that uses it, and there are a few I like. But when I see Mexican on the list of ingredients, whether wrapper, binder or filler, my antennae goes up and my interest goes down. 2. Similarly, note who makes cigars you like. This isn’t always easy to discern and isn’t always disclosed. And just because you fancied one cigar from Don Pepin or Dion Giolito doesn’t mean you’ll like their others. But it does tilt the edge in your favor. 3. Have some ideas about what you’re seeking before you go to the shop. Rarely will you find any details about a cigar’s makeup on the box. Reviews, advertisements, and personal recommendations can be informative and helpful. 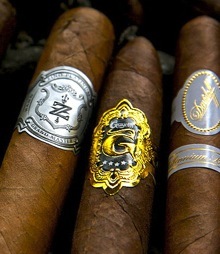 It’s also good to have several cigars in mind, since it seems that invariably the one you want won’t be on the shelf. 4. Maybe you’re one of those individuals who totes a cigar journal along or taps your smoking thoughts into a smartphone or computer. If you, however, are among those of us who lack the discipline to consistently take extensive notes, worry not. Jotting a couple of key points on a scrap of paper and tucking it into your shirt pocket can fill the bill. Just make sure to include the cigar’s name so you’ll recall what it was you smoked. 5. Remember, a cigar doesn’t have to be new to the market to be new to you. Now, more than ever, attention is focused on newcomers. But there’s a reason some cigars have been around for decades: people like, and buy, them. Look the humidor over carefully and note how many you have and have not smoked. As always, this will be better and more useful if you share your thoughts and suggestions. Part II will be coming up soon. Really good suggestions here. Thanks! I often forget that I don't necessarily need to try "new" cigars, I just need to try cigars I've never smoked before. If I haven't smoked it, it's new to me. Step 1: Don't smoke anything in that photo.